@marwood It cost more to do the XBLA version than all other SKUs combined. Made more on all other platforms. XBLA: "a learning experience"
@marwood two bouts of 6+ months of pitching, paperwork, negotiation just to get onto XBLA. It's absurd. They don't make it easy. @noddingpenguin The landscape's been shifting as devs and pubs realize the time/work/stress vs. revenue on XBLA. @aegies The list of platforms which treat developers and publishers well: Sony, Nintendo, Valve, Apple, Google. Compounding on this development, Provinciano even goes as far as to suggest that the game might have been a failure had it launched exclusively on XBLA. @kush3 They also released it on XBLA while holiday sales were still going on. Multi-platform was crucial to the game's success. 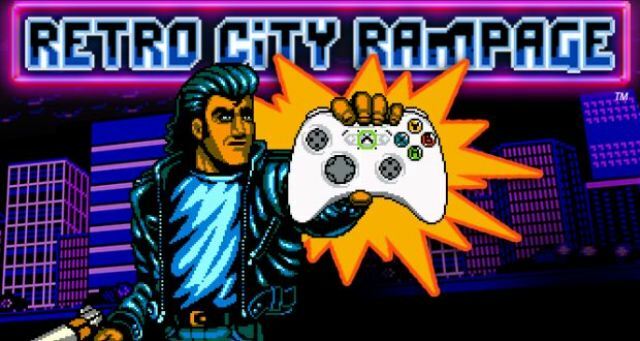 Of course, it’s important to note that it’s not necessarily fair to directly compare the XBLA release of Retro City Rampage to its counterparts on other platforms. After all, the PSN and Steam versions of the game released in October 2012, well in advance of the XBLA port, providing ample time to establish a commanding sales lead. On top of this, Retro City Rampage included a Vita/PS3 cross-play incentive, and it was part of a PSN+ promotion. Finally, it was also published by Sony on PSN and, therefore, received much more promotion on that platform than on XBLA, where it was published by D3. Provinciano joins the growing chorus of developers voicing their concern at the expensive hoops developers must jump through for their games to feature on XBLA. Double Fine’s Tim Schafer claimed that many devs have begun to look elsewhere owing to crippling patch and support expenses on top of the high cost of entry. Fez developer Phil Fish also famously spoke out against Microsoft’s XBLA policies. Fish claimed that he could not justify the $40,000 price tag to patch a game-breaking bug in Fez that affected only a nominal proportion of its player base. XBLAFans recently reported on how Microsoft’s currency policy for XBLA causes no end of difficulties for Japanese developers. According to G.Rev president Hiroyuki Maruyama, many studios simply avoid developing for the platform because of the high cost of entry and comparatively low return.